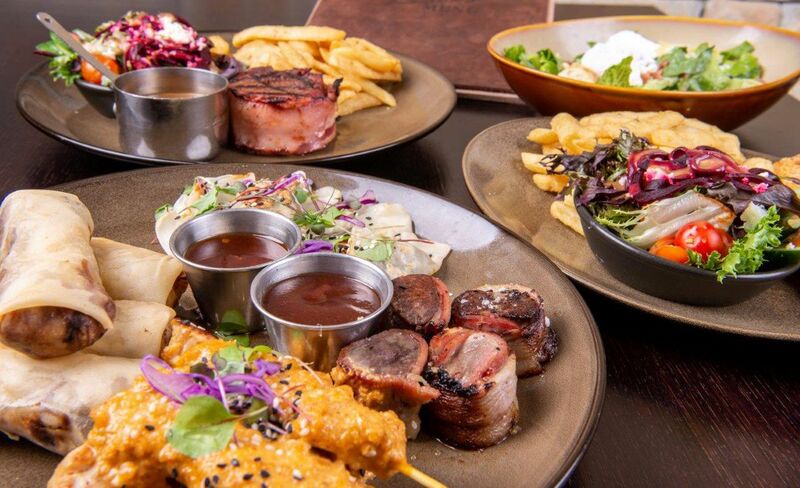 From tasty share plates to scrumptious Australian classics… there’s a meal for everyone! We are very pleased to announce that RedBrick Hotel has launched a new menu designed to tantalise tastebuds. This new menu features delicious additions to our extensive and much-loved restaurant menu. Food tastes better when shared with friends and family – although we’ll understand if you want to keep our all-new Share Plates to yourself. 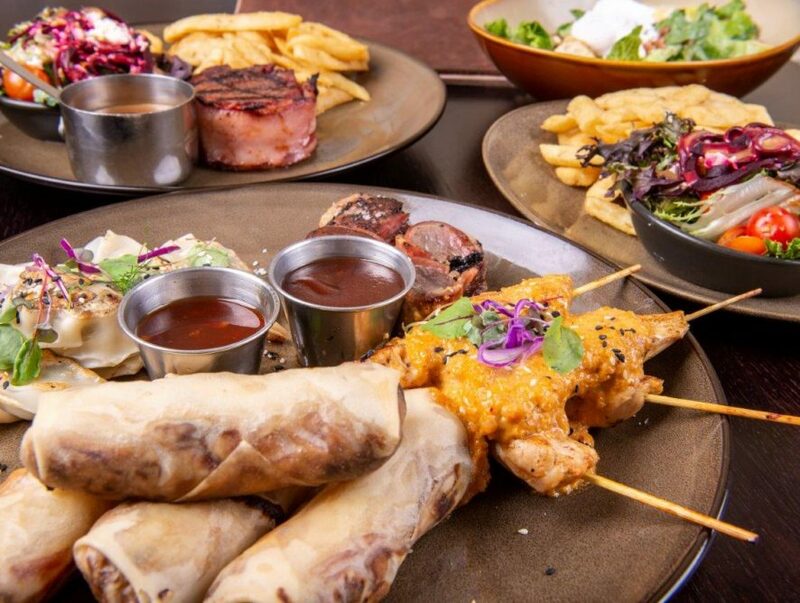 We have combined the tastiest, most scrumptious bites from our existing Share Plates to create the ultimate selection of finger-licking goodness. 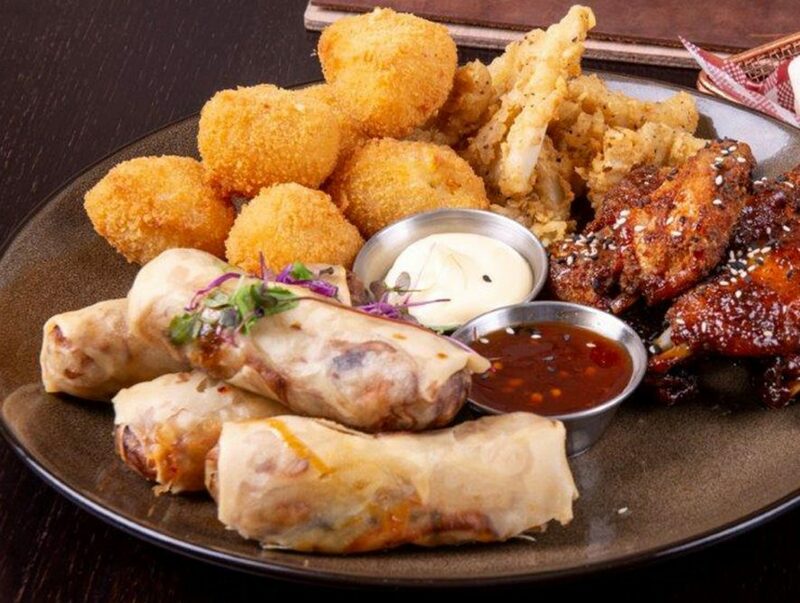 Our famous chicken wings with your choice of sauce, light & tender salt & pepper calamari, crumbed camembert & house-made spring rolls served with aioli & chilli soy sauce. 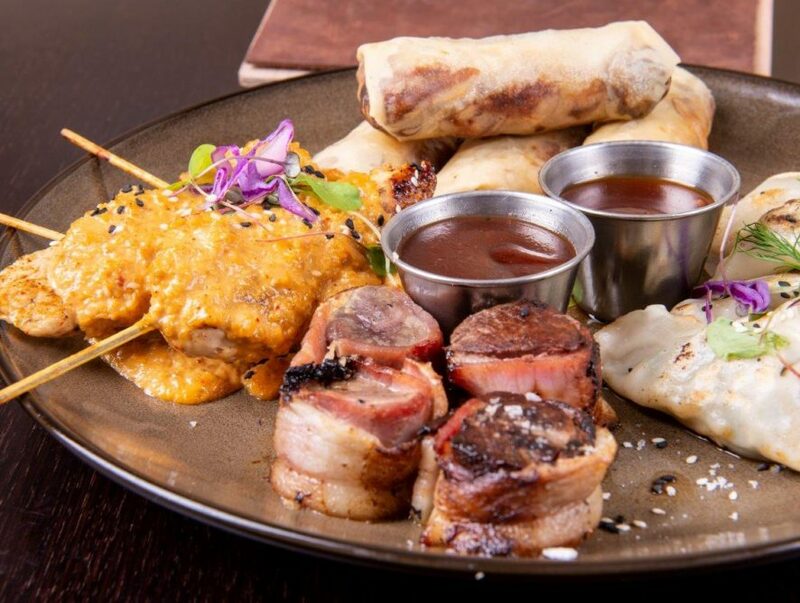 Mini filet mignons, satay chicken skewers, pan-fried pork dumplings & house-made spring rolls served with Sweet Baby Ray’s Barbeque Sauce & chilli soy sauce. Classic Australian favourites like our Chicken Schnitzel have also enjoyed a few new upgrades. Alternatively, upgrade your Schnitzel with these great toppings! Our new menu has officially launched and we encourage you to pop-in and try it for yourself. Check out the full menu on our website and pick out your favourite meal! Book your table – get in touch!